Pocket Card and FREE Tutorial Bundle! I’ve got two projects to share today. 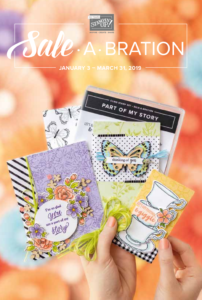 Both use the All My Love Product Suite from the Occasions catalog which is the featured suite this month, for a new creative team I’ve joined. 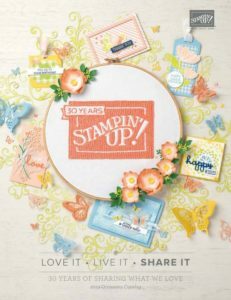 The group is called the Simple Suite Stampers and I’m super excited to be a part of it! Each month this team will create a set of 8 tutorials that will be compiled into a PDF. This tutorial bundle will be available for FREE to my Treehouse Chicks Team Members! Customers with qualifying purchases will also be able to get it for FREE! The PDF is available starting today and it’s chock full of fun projects complete with dimensions, instructions, and supply lists! You’ll find more details ahead for how to get this tutorial bundle. The first project in today’s post is a pocket card and it’s quick and easy to make! For my pocket card, I’ve used the Detailed Trio punch to round all four corners of the card base. For the inside piece, I just rounded the top two edges. A few Glue Dots were used on the left and right edges to attach the sides and create the pocket. When I used adhesive along the full edges of the inside of the pocket, it became a little too narrow for the insert. As a result, I opted to use a few Glue Dots instead. The Lovely Lipstick ribbon is tied around the pocket card, which also helps to hold it shut. For the stamping, I started with the Lovely Lipstick sentiment making sure to stamp it in the space that would be above the fold, on the Whisper White insert piece. I then stamped the flowers and leaves to frame the sentiment in Flirty Flamingo and Soft Sea Foam ink respectively. The bottom panel was stamped with the same images plus I added some Lovely Lipstick mini-hearts too! The project dimensions and scoring details for my pocket card are just ahead. 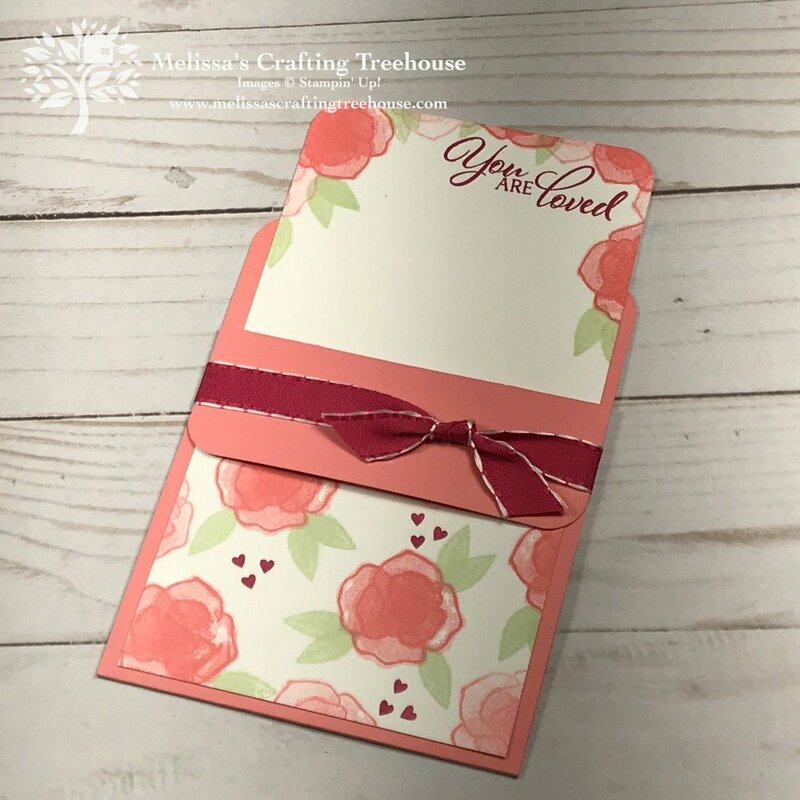 This second card is made with the Lovely Forever Stamp Set and coordinating Lovely Flowers Edgelits Dies. The main image on this card is created with two step stamping. The Lovely Lipstick flowers are one image and the Soft Sea Foam image is stamped to superimpose the foliage perfectly around the flowers. You’ll wrap the ribbon around the inside, with the ends attached on the front, under the focal piece. I used Mini Glue Dots to attach the die cut pieces behind the upper left and lower right corners of the focal piece. 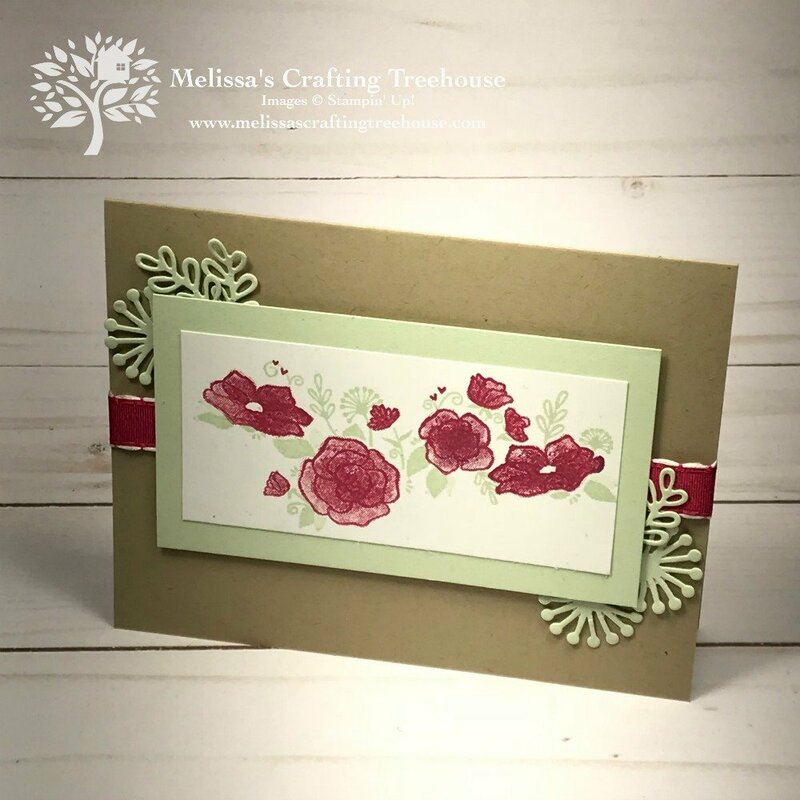 Stampin’ Dimensionals were used to attach the focal piece to the card body. I hope you’ve enjoyed today’s projects! There’s a short video tutorial just ahead for project #1, which is the pocket card, plus a complete supply list if you’d like to recreate this project and/or purchase any of the products used. Plus, there are NOW even MORE PERKS when you place orders through my online store! 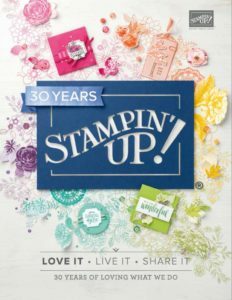 And… when you spend just a little more, you’ll get the Simple Suite Stampers Tutorial Bundle PDF FREE as well! All orders of $75 in merchandise or more will get this Tutorial Bundle PDF Free! However, you must use the current hostess code to qualify, unless your order is $150 or more, and then YOU get the hostess rewards. 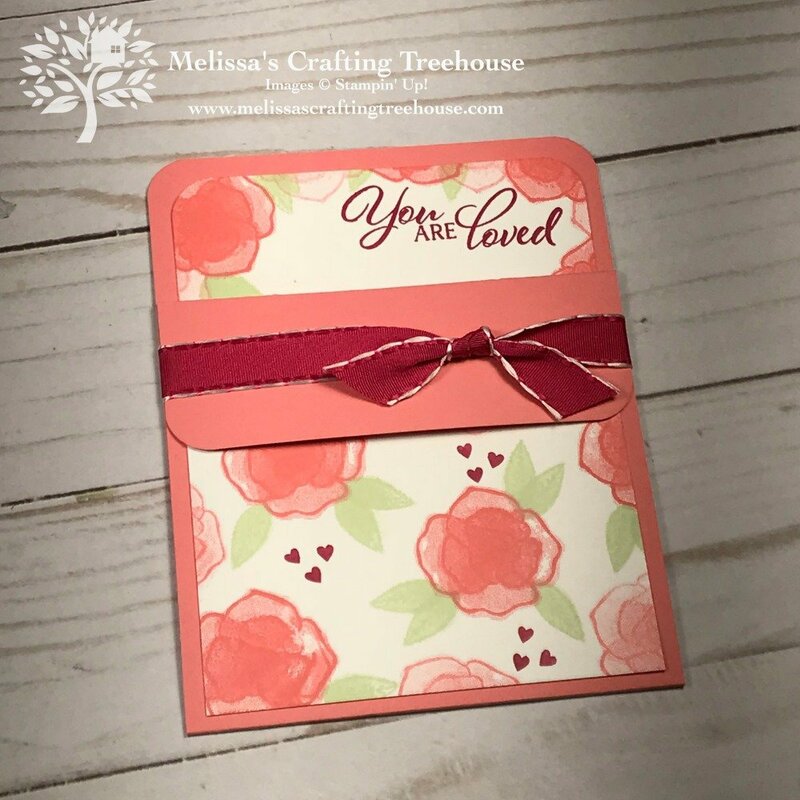 If you enjoyed the cards shared today, you’re going to love the Simple Suite Stampers Tutorial Bundle that’s available starting TODAY! 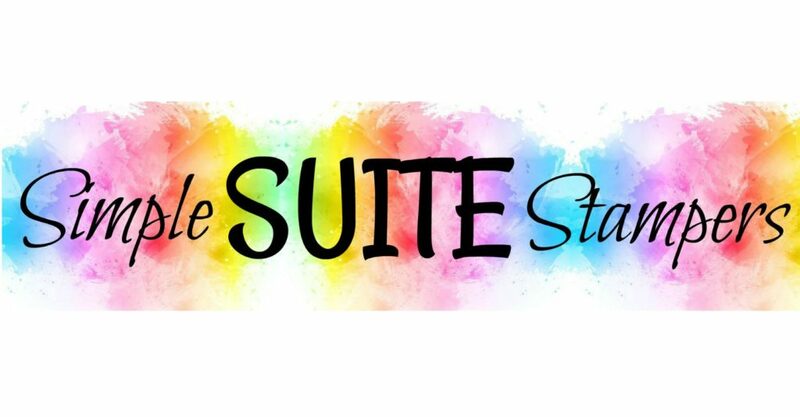 All the tutorials in the bundle feature the All My Love product suite! The projects include cards plus a few 3-D items too. In addition, there are some Valentines themed ideas for those last minute cards and gifts you may want to make! To place your order today and get this tutorial bundle FREE, simply click on the “Shop Now” button just ahead or click on any of the product links in the supply list below! Thanks so much for spending some time with me today. Until next time… Happy Crafting! Project Dimensions can be found earlier in this post after each respective project.